I basically was raised by the restaurant business. I've held about every position, front and back of the house. So even though I ran to design as a respite, years later I find that branding service industry businesses is one of my favorite arenas to play in. Brainchild of chef/entrepreneur, Adam Milgrom, Paperboy Kitchen is a marriage of Vietnamese culinary classics and straight deliciousness. I was fortunate enough to help launch Paperboy into the rich Melbourne food culture. Here's where we netted out. After 30 years with the open sign on, a restaurant tends to change and evolve to adapt their patrons. 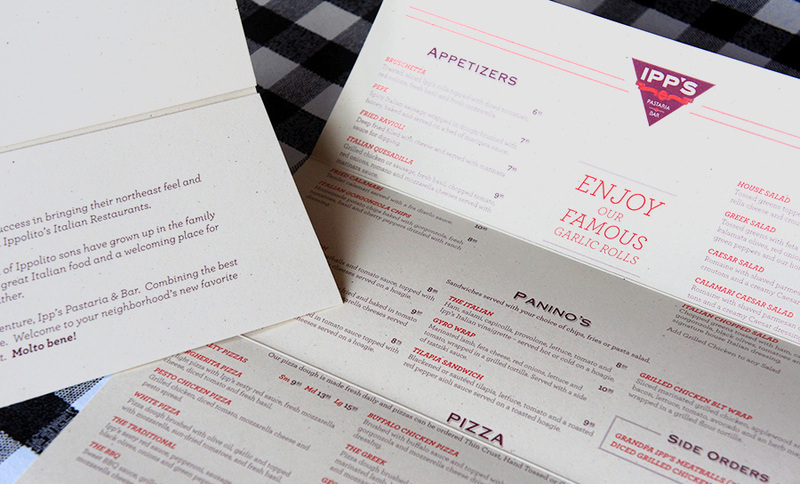 Ipp's was born out of the desire to recreate the original feel of the North Atlanta institution that is Ippolito's Italian Restaurant. Taking a more contemporary approach on a throwback brand look, Ipp's looked to differentiate themselves without alienating their well deservd name recognition. Started in 1989, this family-owned Italian restaurant is a North Atlanta staple. Known for their big portions, addictive garlic rolls and cozy interiors but a very inconsistent brand look. 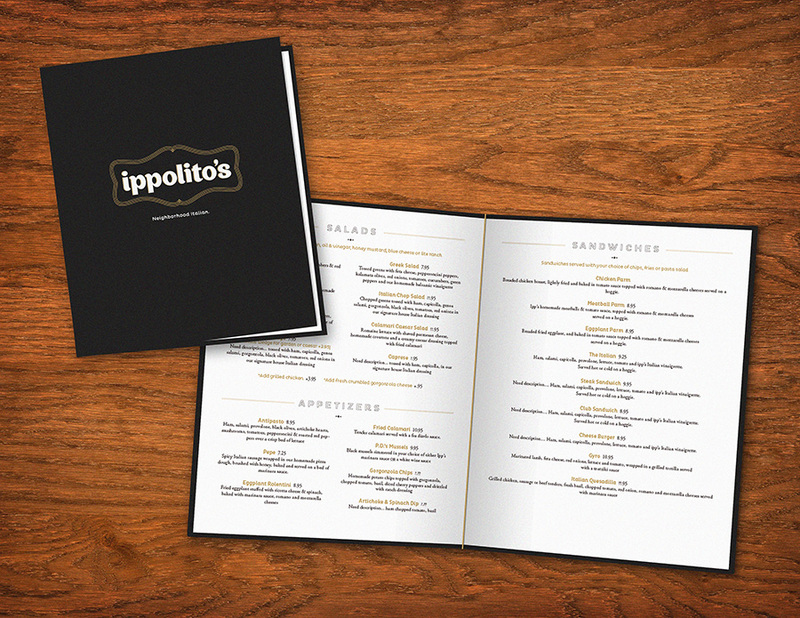 The desire of the owners was to keep the equity that Ippolito's had worked so hard for, while updating the logo and look with a touch more sophistication and all-around cohesiveness.